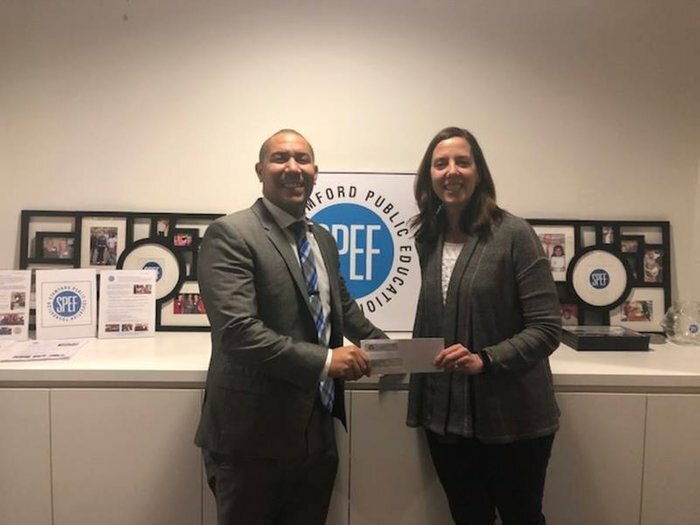 STAMFORD, CT – December 20, 2018 – The Stamford Public Education Foundation (SPEF), a non-profit organization serving the Stamford Public Schools since 1996, today announced it has received a $3,500 grant from The Community Fund of Darien. The grant supports SPEF’s Traditional Mentoring Program, which serves students in grades 6 – 8 and provides students with the additional social, emotional, and academic support they need to thrive. SPEF’s goal is to provide this program to 150 students in Stamford’s six middle schools this school year. The Community Fund of Darien is a nonprofit that plays a significant role in addressing health and human service needs in Darien, Norwalk, and Stamford. Through strategic leadership and grant making, the Community Fund of Darien addresses a broad spectrum of needs, including education. The organization was founded almost 70 years ago and since then has distributed over $20 million to local nonprofit organizations and community initiatives. The grant to the Stamford Public Education Foundation enables The Community Fund to have a direct impact on disadvantaged middle school students within the Stamford Public School system. Founded in 2010, SPEF’s Traditional Mentoring Program provides middle school students who need additional academic and/or social support with resources and guidance required to be successful. It partners students with college, community and corporate volunteers for weekly one-on-one mentoring sessions with students. These sessions take place at school, during the school day. The four primary objectives are to: help students set goals, improve their academic standing, become engaged in positive after school activities, and prepare for college, career training, or full time employment after high school graduation. SPEF’s Traditional Mentoring Program and operates alongside programs offered for Elementary School students in grades 3 – 5 (“Service-Learning”) and students in High Schools (“Early College Studies,” “Leadership Mentoring” and “Student-Athlete”).